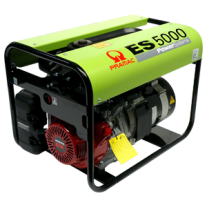 Pramac Generators are headquartered in Europe (including plants in Italy and Spain) and being a leading global operation also have offices and plants in Asia. 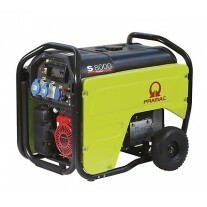 Pramac are considered one of the world leaders in power and energy solutions. 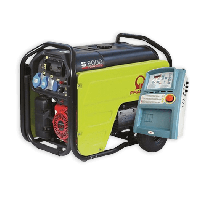 Their comprehensive range includes small portable generators, right through to large stationary power sets up to 800kVA in output. 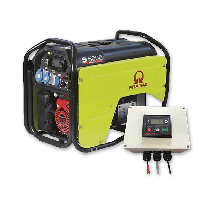 Renowned for their market leading technology, Pramac generators boast multiple configuration options across their entire range, including two wire auto start capability for direct mains connection or battery charging connection for off-grid solar powered homes/buildings. 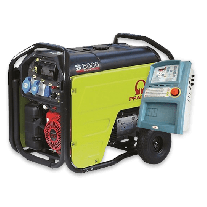 Our number one seller for home and business power back-up, Pramac’s impressive additional feature offerings mean that their gensets are also great for a wide range of other solutions, including; trade applications, farming, mining and for powering events. Using componentry from other world leading manufacturer’s, including; Honda, Yanmar and Perkins Engines, as well as Italian made Linz alternators, Pramac utilises the highest end production process techniques to produce premium grade generator products.